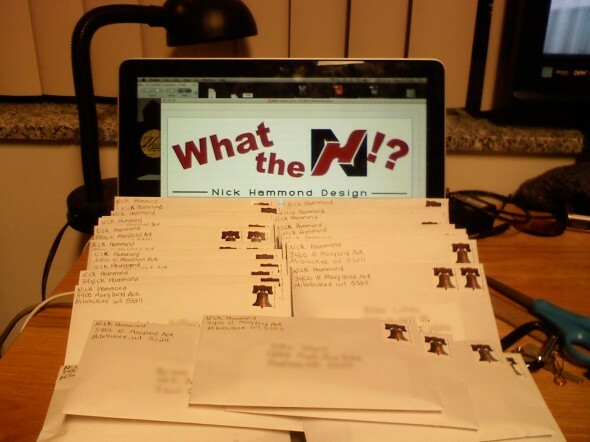 Once the pictures of the posted stickers start pouring in from various cities around the U.S. the game is on for who will be the winner of the first FREE tshirt from the spring NHD Clothing line. Information on the contest can be found on the CONTEST tab of the Nick Hammond Design site. If you would like to get some stickers yourself you’ll now either have to wait until the next batch arrives (undisclosed amount of time) or contact one of the select few that received part of the batch that just went out. Stickers are free but are in limited quantity. Gotta keep you interested somehow right?